Sioux Falls Christian gives supporters many options when contributing toward the growth, ministry, and needs of Sioux Falls Christian. Our vision statement to Love, Grow, Go, and Glorify applies to the opportunities and experiences we want to cultivate with donors. Our desire is to match donors with needs and opportunities that are dear to their heart as well as give donors a variety of financial vehicles to pick from to best meet their financial situation. Explore the giving options listed below to discover which opportunity meets you and your family’s goals. We appreciate your partnership with Sioux Falls Christian and for supporting Christian education! We accept one time and recurring gifts through our secure online payment gateway. There are a number of options to which you can give through our online payment page. Contributions can be made through automatic bank withdrawals or with a credit/debit card. Give online now. Stocks, securities, and mutual funds that have increased in value and have been held for more than one year are popular assets to use when making a gift to Sioux Falls Christian. The gift of appreciated securities supports the school while providing donors with unique benefits, helping donors reduce or even eliminate federal capital gains taxes on the transfer, as well as providing a federal income tax charitable deduction based on the fair market value of the securities at the time of the transfer. When you donate appreciated stock to Sioux Falls Christian, you receive the same income tax savings that you would if you wrote us a check, but with the added benefit of eliminating capital gains taxes on the transfer. Making a gift of stock to support Sioux Falls Christian is as easy as instructing your broker to transfer the shares. Contact SFC Development for transfer instructions. Appreciated securities transferred to Sioux Falls Christian are normally sold as soon as practical following receipt, unless otherwise directed by the Board. Matching gifts allow you to double, triple, or even quadruple your gift. Thousands of companies have a program that matches gifts made to support education. Some companies even match gifts made by retirees and/or spouses. To find out if your employer has a matching gift program, contact your Human Resources Department. If your employer will match your gift, please request a matching gift form from your employer and submit your form, completed and signed, with your gift to the address below. You may also submit your claim online if your employer has an online matching gift claim form. Staff at Sioux Falls Christian can make a powerful statement about their commitment to their workplace, its future, and our shared mission. To make a payroll deduction gift, contact Karla VanderLeest, Business Manager, at (605) 334-1422 or kvanderleest@siouxfallschristian.org with questions or changes regarding your payroll deduction. Planned giving allows donors to increase their impact through smart and creative giving that benefits Sioux Falls Christian and often benefits the donor or donor’s family through significant income tax, capital gains tax, and estate tax benefits. Donors who have included Sioux Falls Christian in their future plans are encouraged to disclose those plans to Sioux Falls Christian. Those individuals who confirm they have included Sioux Falls Christian in their future plans can be recognized as members of our Legacy Community. For more information on planned giving at Sioux Falls Christian, click on Planned Giving. A gift of life insurance is a unique way to give to Sioux Falls Christian. You can donate a paid-up life insurance policy to Sioux Falls Christian and name Sioux Falls Christian as the beneficiary. Alternatively, you can donate a new or partially paid insurance policy to Sioux Falls Christian, name Sioux Falls Christian as the beneficiary, and continue to pay the premiums. You may also simply name Sioux Falls Christian as the beneficiary or contingent beneficiary of a policy upon death. A gift of appreciated real estate is similar to a gift of appreciated stock. Property you have owned for more than one year qualifies as a charitable contribution at its fair market value. A charitable deduction is available to the donor, and the gift is not subject to capital gains taxes. Individual retirement plans, including IRAs, 401(k)s, and 403(b) accounts, are an attractive asset for charitable giving. When retirement assets pass through an estate to heirs, they may be subject to both estate taxes and income taxes. Donors can choose to avoid high taxes on these assets by designating Sioux Falls Christian as the beneficiary of their retirement accounts upon their death. Additionally, IRA charitable rollover provisions allow qualified donors (those 70 1/2 years of age and older) to make outright gifts of up to $100,000 annually to Sioux Falls Christian from their IRAs. Donors can avoid income tax on direct distributions of such assets to Sioux Falls Christian and can potentially satisfy their required minimum distributions through such transfers. You may want to make a gift to Sioux Falls Christian, while retaining a source of income for the future. By establishing a charitable gift annuity or a charitable remainder annuity trust, you can assure yourself of a fixed amount of income for the rest of your life. Alternatively, establishing a charitable remainder unitrust or contributing to the pooled income fund will generate a variable income payment for you. Ultimately, the principal used to generate income through any of these gifts will benefit Sioux Falls Christian Schools. Sioux Falls Christian partners with the Barnabas Foundation to provide you with several income-producing gift options. Whether you want fixed or variable income, or whether you want immediate or deferred income, the Barnabas Foundation provides donors with income-producing gifts that best meets their family’s needs! For more information on income-producing gifts, contact SFC Development. Friends and family can support the generational impact of Sioux Falls Christian by contributing to Sioux Falls Christian’s Endowment Fund. Endowment funds are held in perpetuity and the income earned on them is included each year in the school’s budget or toward specific uses. 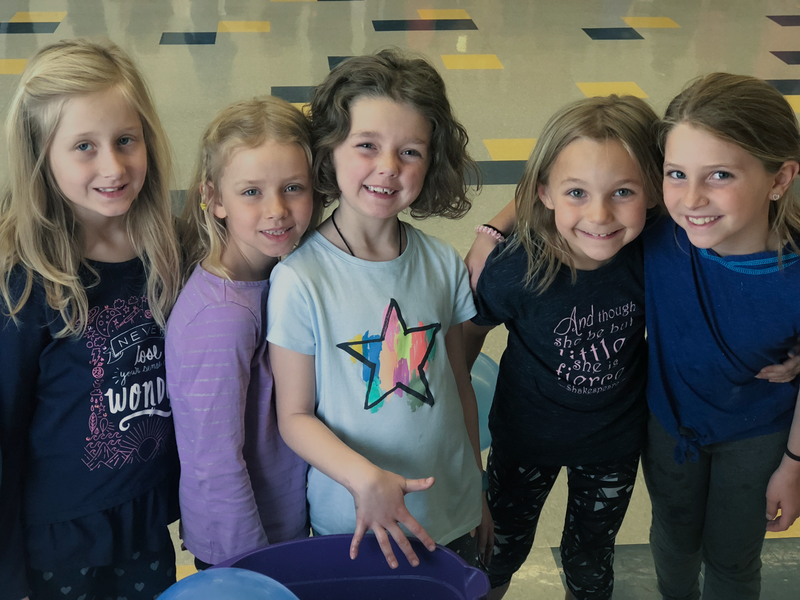 Endowment funds uniquely address the future growth and sustainability of Sioux Falls Christian’s vision and mission by supporting reinvestment in our teachers and by assisting with tuition costs in order to keep Christian education accessible. For more information on supporting Sioux Falls Christian, contact SFC Development. We welcome your questions and the opportunity to discuss partnering together to support the mission of Sioux Falls Christian! Sioux Falls Christian Schools is a 501(c)(3) non-profit organization under IRS guidelines. Donations are tax deductible to the extent of the law. Tax ID # 46-0340024.